SLT-TECH develop all products and components by themselves, beginning with deep market analyzes and research to understand the needs. SLT-TECH focus on innovation and quality, under harsh environment conditions, reliability, safety and long lifetime with “SPITTM“ (Self-Protective-Intelligent-Technology). 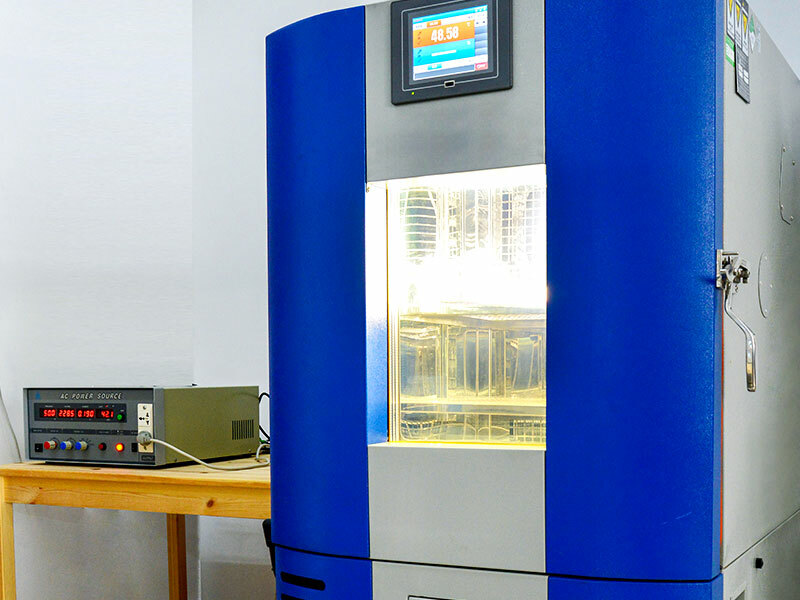 The product development and design start by 3D construction and simulation of every parts and components, testing of electronic components, which will be used in the products.Then Mechanical construction samples are printed by our own 3D-Printer and tested for usability in the products. Fulfilling international safety and many more requirements are the basic of our working to guarantee high-end products, which will be tested and qualified by independent laboratories, such as TÜV, VDE, ENEC and others, according to the needs in the destination countries. 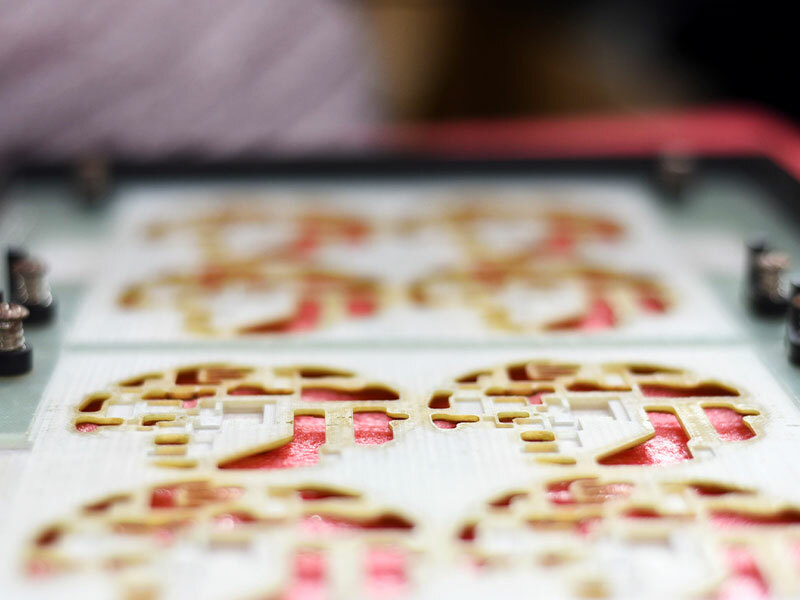 We not only print “CE” on our products, they are qualified by testing actually. 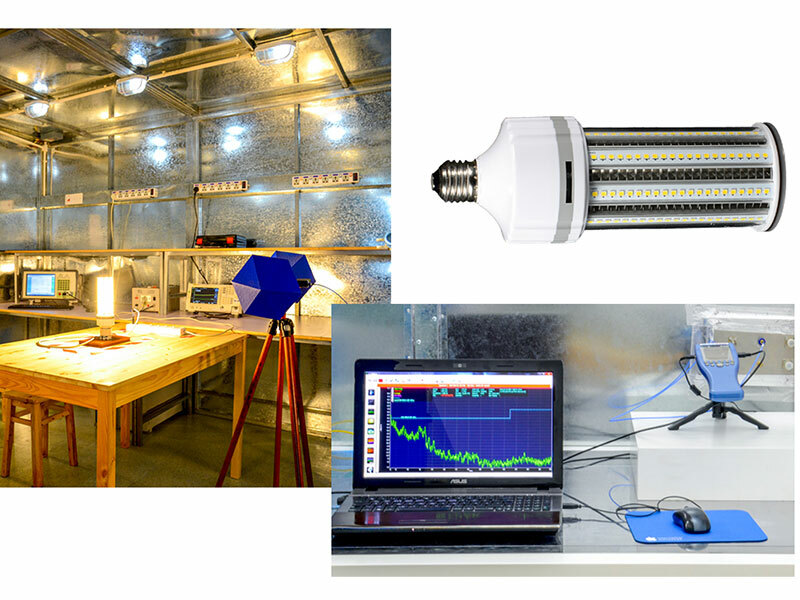 SLT-TECH has his own testing laboratory, equipped with EMI/EMC, EMI/EMC-Shield-Room, humanity, temperature, high-voltage, power analyzing and lighting test equipment, which will be used during the engineering processes for stable results. The SLT-TECH engineering team is leaded by a German engineer which have rich experience in many fields of electronics and specialized with more than 7 years in LED lighting. We take our work serious to lead LED lighting products into the future, without any compromise. Our “SPITTM“ (Self-Protective-Intelligent-Technology) ensure a stable and safe working of the main part in every of our products,as well as our power supplies. No bad condition of the products will be undetected, what help to guarantee always safe working of the products under heavy working conditions. 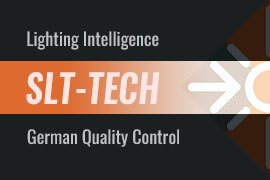 SLT-TECH invest always in new testing equipment and technology to lead the lighting business into the future. We take testing during the engineering very serious. Nothing is more important than improving our own product samples during the development stages, because this shows always potential for doing better to become close to perfect. SLT-TECH decided from the beginning to have In-House laboratories equipped with modern testing equipment to do accompanying development to save cost and time in all stages of product design, construction and development. Here we show you only a small pallet of our testing facility. Surely, we have much more, here will give you a picture about our most important resources. Testing products under the full range of possible temperature and humidity situations is highly important to improve the quality of our products, this includes life-time calculation for specific life-time related components. Our chamber is computer controlled and work between -40°C to +150°C with a humidity condition between 20%R.H to 98%R.H, by an accuracy of ±0.01°C and ±1%R.H. By a size of 2.5 x 3.0 x 2.5m in double layer shielding technology (up to 3GHz), we are able to test conducted and radiated emission (EMI/EMC) in frequency ranges between 9kHz to 30MHz (conducted) and 30MHz to 1GHz (radiated), according to IEC 55015 and IEC 61000. We also have in this room a spectrum analyzer with near field probes for analyzing the sources of disturbances in products. Many bad situations are happen on the power grid and in the field, which can be tested by the following equipment. 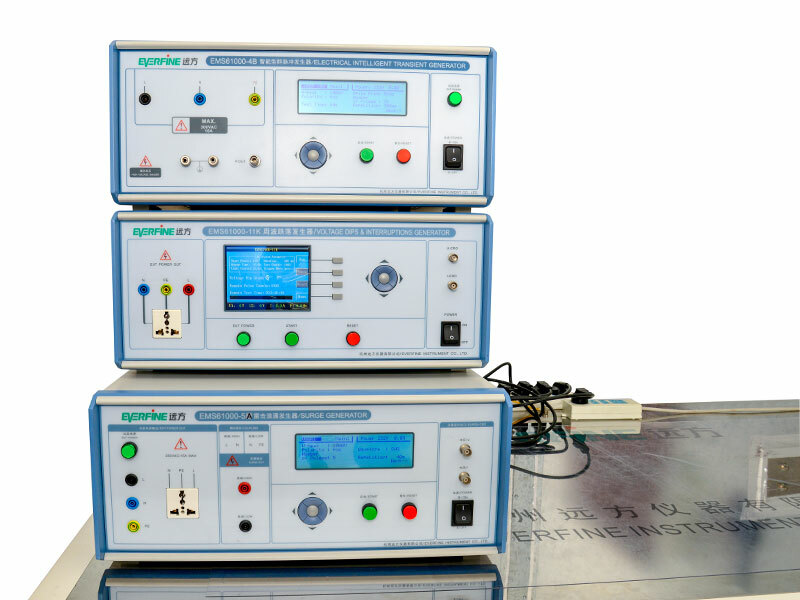 Electrical Fast Transient Generator simulates the repetitive noise of high frequency caused by switching transients (interruption of inductive loads, relay contact bounce, etc.). It is intended to test the immunity of electrical and electronic equipment to the transient disturbances in circuitry or induction, according to IEC 61000-4-4. Lightning strike or transient switch would cause the phenomena of over voltage and over current. The Surge Generator can simulate a monopole surge and provide an accurate and ideal basis for evaluating the surge immunity of the power supplies, power cable, I/O cable and communication cable of electrical and electronic equipment, according to IEC 61000-4-5. Generator designed according to the characteristics and requirements of EMS immunity measurement voltage dips or short interruptions. According to requirements of IEC 61000-4-11. Spectroradiometer’s are widely used to measure the spectral, photometric and colorimetric parameters of all kinds of lighting sources which include relative spectral power distribution P(λ), chromaticity coordinate (x,y), (u,v), color temperature (Tc), color rendering index (Ra), dominant wavelength, peak wavelength, spectral bandwidth, color purity, color ratio, SDCM, luminous flux, Illuminance, luminance, spectral transmittance and reflectance, etc. This testing station is equipped with a new HAAS-3000 High Accuracy Array Spectroradiometer (Scientific Grade), US Patent (No. : US 7,978,324 B2). 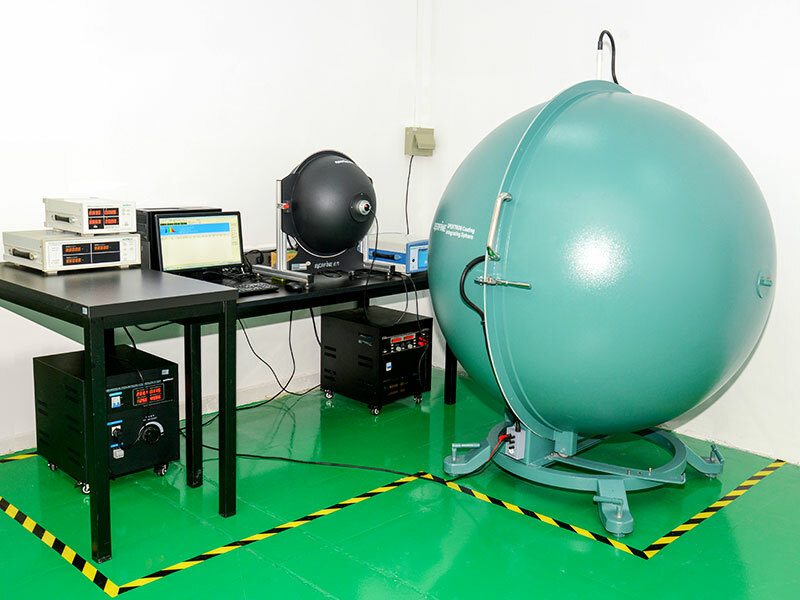 Further the station have two sphere with 1.5m and 0.5m diameter and DC-, AC-Power Supplies with integrated power analyzer, for THD measurement.